So the ruling in Trinity Lutheran Church of Columbia v. Comer is quite narrow in the overall church-state arena. However, there is much about the ruling, especially its judicial reasoning, that points to signs SCOTUS is distancing itself from the resolute positions our Founders held on church-state separation. Justice Roberts rather sarcastically observed that Missouri’s rationale for denying Trinity Church access to state grant monies was due more or less to its “preference for skating as far as possible from religious establishment concerns.” But what his opinion language encompassed came close to the opposite—that is, the Court’s preference for skating as close as possible to crossing the line separating church and state. Seven justices were far less committed to preserving that line than our Founders were. Both sides in the Trinity case actually agreed the U.S. Constitution did not prevent Missouri from making a grant to Trinity. The pertinent question to be decided by SCOTUS was: Can a state demand a more stringent separation of church and state than the U.S. Constitution requires? Can a generally available public benefit (like the playground resurfacing grant in this case) be denied to an applicant solely because the applicant is a religious entity? Because the funds in question would have gone to playground resurfacing, Trinity and its supporters contended this was a “religiously neutral” purpose (i.e., not actually an aid to a “church” or “religion.”) Based on that, the church claimed that solely on the basis of its religious beliefs, it was being denied a benefit it was otherwise legally and equally entitled to. They argued the state was abridging Trinity’s First Amendment right to the “free exercise” of religion and denying the 14th Amendment guarantee of “equal protection of the laws.” The SCOTUS majority agreed Trinity’s free exercise of religion was “burdened,” and hence their ruling. 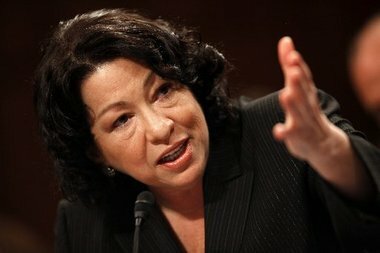 But dissenting Justice Sonia Sotomayor presented an extensive rebuttal, raising church-state issues that went unaddressed by the majority. More on the specifics of this below. By way of background, the state constitutional language on which Missouri based its grant denial is commonly known as a Blaine Amendment. Three-fourths of states in the U.S. have similar language in their constitutions, including Colorado. 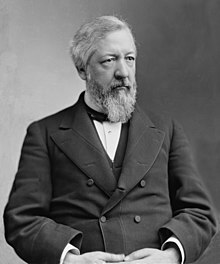 Such amendments trace their origin to the 1870s, when U.S. Rep. James Blaine, a Maine Republican, was angling for his party’s nomination for president. The general historic consensus is that Blaine tried to capitalize on an anti-immigrant mood at the time by proposing an amendment to the U.S. Constitution to prevent taxpayer dollars from going to Catholic schools that immigrants were establishing for their children, as well as other religious concerns that were making the predominant Protestant population uneasy. The U.S. Senate rejected Blaine’s attempt at a federal amendment, but then states rights advocates, again playing on the anti-immigrant mood, succeeded in enacting Blaine-like amendments in their own state constitutions. The wave of such enactments became widespread, and its legacy continues to today. Both before and after the SCOTUS Trinity ruling, the matter of such Blaine amendments has elicited widespread commentary, much of it overly simplistic and in some cases hyperbolic. The case has frequently become a call for invalidating all Blaine amendments in toto, never mind that such amendments do encompass church-state separation principles that were sacred to our Founders. Sources ranging from national columnists like George Will to the local editorial viewpoint of the Gazette resorted to sarcastic minimalizing to describe the Trinity case not as a bona fide church-state matter but as a callous disregard for kids’ injured knees (sustained on the playground to be resurfaced, you see) resulting from a presumed animus to religion in general that has survived down through the years from Senator Blaine’s days. Without fail, every Blaine amendment critic points to the anti-immigrant/anti-Catholic genesis of the amendments, often adding that these amendments were also favored by the Ku Klux Klan. All of which may be true, but all of which suffer the illogic of ad hominem argument: i.e., the amendments are bad not because of their literal content but because the guy who first proposed them was badly motivated. The more relevant and operative question to be addressed is: Regardless of how they originally came about, do the Blaine amendments retain any validity for today? The history of court cases dealing with issues similar to those in the Trinity case is varied and marked by ambiguities and inconsistencies. 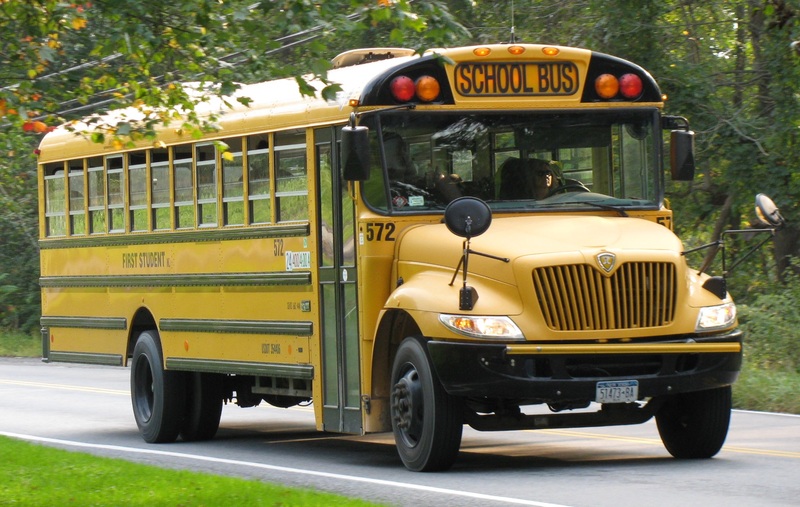 Paying for bus transportation to get kids to religious schools gets an okay at one point, but publicly funding bus transportation for religious school field trips is ruled not okay. The Court said at one point that public funds given to schools could not constitutionally be used to promote religion, but on another occasion ruled that publicly providing computers was okay, even though it was inevitable these would be used in some measure to teach religion. The Court has also made distinctions based on whether public funds go directly to a religious school or instead go to parents of school children by way of vouchers, even though such voucher funds ultimately end up in the hands of the religious schools the parents overwhelmingly select through such voucher programs. Suffice it to say the proverbial “bright lines” between what’s allowed and what isn’t are not immediately apparent in the history of cases on the matter of public money being used to promote religion, especially through schools. The ambiguities in the Court decision history lead one to conclude that the key problem with Blaine amendments is not so much that their proscription on public support of religion is wrong (our Founders would say it’s not) but rather that the proscription is subject to wrong interpretation in a given set of circumstances. It seems imperative that a key point of distinction has to be whether the public money is supporting a non-religious public service (municipal fire and police services provided to a church or religious school being an obvious example) or whether such public money is advancing religion. This is precisely where the seven majority justices in Trinity part ways with the two dissenters (Ruth Bader Ginsburg joined Sotomayor in dissent). They part ways not only in assessing the merits of the Trinity case but also in how much heed they pay to our Founders’ fervor for keeping church and state separate. A rational argument could be offered that Missouri erred in denying Trinity Lutheran a grant for playground resurfacing of its Learning Center, if one assumes resurfacing a playground does not directly encourage or support religion. Yet one could also make an argument that it indirectly or incidentally supports religion, since the school is run by a church. It’s also true that the church may very well use the playground on occasion for activities that do promote religion. So it would seem the majority is distinguishing between religious status or identity and religious actions in determining whether free exercise of religion is being unconstitutionally burdened when a religious entity is denied a public benefit. Exclusion based on the former (identity) is a burden and not permissible, but exclusion based on the latter (actions) can presumably be allowed under certain circumstances (as happened in Locke v. Davey). But at the same time it also appears the majority either never considered, or deemed irrelevant, the likelihood that Trinity Church would use its state-supported playground for religious purposes, even though this would fall under actions and not just be a matter of identity. This is why the matter warrants careful thought and is ill-served by facile all-or-nothing judgment. Whatever the merits of an individual case may be (Trinity’s mixing of playground and church makes for some gray area to judge), advocating a wholesale repeal of Blaine-style limitations is equivalent to saying they contain no valid principles. In fact, however, they do. These amendments have been cited in many cases to prevent diverting public money to aid religion and/or to head off other unconstitutional entanglements of government and religion. Doing away with them would almost certainly lead to an avalanche of efforts to direct public monies to religious entities, something many fear, all the more so after the Trinity ruling. This would unquestionably contradict the Founders’ intents. 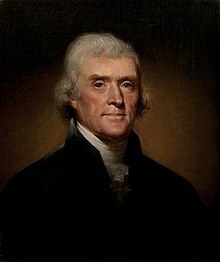 Besides Jefferson’s Virginia Statute opinion noted earlier in this article, the Constitution’s chief draftsman, James Madison, wrote in a post-presidency Detached Memorandum: “If religion consist in voluntary acts of individuals, singly, or voluntarily associated, and it be proper that public functionaries as well as their constituents should discharge their religious duties, let them like their constituents do so at their own expense.” In other words, religions and their adherents should support their sectarian activities, which encompasses religious schools and teaching, on their own without public funding. Wexler noted in his anthology of church-state cases that when Justice Sandra Day O’Connor retired and was replaced by Samuel Alito, the Court tilted much more toward allowing religious groups to use public funds to promote religion. Now the addition of Neil Gorsuch intensifies such a tilt, because he is, like Antonin Scalia before him, too often oblivious to our Founders’ intents when it comes to keeping church and state separate. His “originalist” light dims nearly to darkness on this issue. The Trinity ruling and its dissent show, at a minimum, that Sotomayor and Ginsburg stand out as a minority in being much more willing to engage our history in detail and being more aware of what that history contains. They are the originalists on this case. Their colleagues’ trending away from such purposeful originalism on government-religion relations should give pause to anyone valuing our history and founding principles. The Founders were fiery on church-state separation for their own experiential and aspirational reasons. They were committed to leaving behind the well known evils of civic-ecclesiastical entanglements and committed to creating a truly revolutionary alternative to that linkage by explicitly separating church and state. 1 Reply to "We're losing the fire of our Founders on church-state separation"
As stated in the section titled, “differences among supreme views”. Missouri refused a grant to resurface a playground in the Learning Center of a church. Because we are not talking about a grant for the inside of a church, I don’t understand why they would deny it thinking it would not be separating church and state. As a Jewish child, my friends and I would play at a local playground owned by a Methodist church. My mother, who raised us as conservative Jews, never thought or told me that because I was Jewish, I would be apposing the religious beliefs as a Jew. Instead, she saw it as a positive place for children to play. This in turn kept us from getting into things that some of our peers were getting into, that had a negative impact on their childhood and future. The conversation regarding our religious beliefs was never touched upon by any of our parents when we would tell them we would be hanging out at the church playground. As a parent myself, I believe that the government would not be influencing Christianity by donating money to resurface a church playground.